Have you been invited to a Thanksgiving feast this year? If so, you likely already know that you can’t turn up empty-handed. For those of you who haven’t yet purchased a present for your host, here are 12 gift ideas to give you some inspiration. For a gift that keeps on giving, you can’t go wrong with a houseplant. When it comes to choosing one, you need to make sure that you opt for a plant that isn’t too difficult for your host to care for. Where should you buy the plant from? You can either purchase it from a garden center, or a department store that has a gardening section. For a wider selection, check out some online stores. However, if you decide to go down this route, you may want to order your plant as early on as possible and care for it yourself until it is time to gift it. 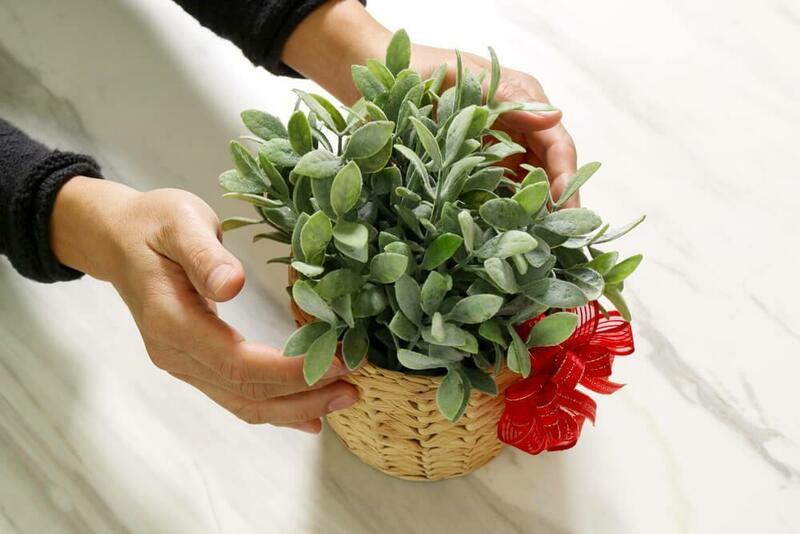 Because plants often take a beating when they are posted in the mail, so this will give the plant some time to bounce back and look its very best before you present it to your host. Coffee table books are multifunctional – not only do they act as a stylish piece of décor, but they can be read too! Wondering how to pick a book that your host will love? It is likely that wine is going to be served for Thanksgiving, making this a gift that your hosts can put to use straight away. Why go for stemless wine glasses? Because they provide a unique way of serving up wine, whether this may be red or white. Stemless glasses are easy to hold and fit comfortably in the hand, while also being much easier to stack in a dishwasher. They are sturdier, making them less likely to break than traditional wine glasses, and are also available in so many different shapes, sizes and designs. There are even stemless glasses designed specifically to enhance a particular wine. If you know that your host has a favorite wine, it may be worth checking to see if there are specially-designed stemless glasses to accompany this. 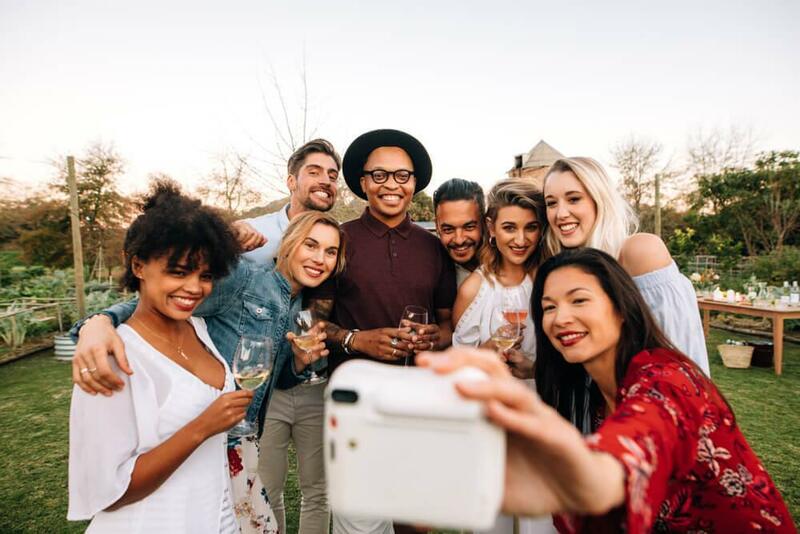 An instant camera may not be a conventional gifts, but your hosts will appreciate being given the opportunity to capture the memories created on Thanksgiving in a special way. Today’s instant cameras work in a similar way to the iconic Polaroid – enabling you to take a photo and have that photo immediately printed by the camera. The most affordable of your options is likely to be a Fujifilm Instax, of which there are several different models available. Don’t forget to also buy some extra film, as you don’t want your hosts running out of film on the day! If you’re spending Thanksgiving with people who love to play board games, then this is an obvious choice when it comes to a gift for your host. Not clued up on the hottest latest board games? Scented candles may not be a very imaginative gift, but this is an item that tends to be appreciated by just about everybody. In order to elevate this gift a bit, you would be best off going for luxury scented candles rather than regular drug store brands, and candles that have a Thanksgiving theme would be a huge bonus. If you know that your hosts drink a lot of herbal tea, then this is a gift that will definitely be appreciated. Don’t know what flavors your host enjoys? Then you would be best off getting a collection consisting of a wide variety of different herbal teas. Many of these are available in beautiful boxes and packaging, helping this gift to seem even more special. How about a flowering tea? These are green teas that are shaped like a small ball. When hot water is poured over them, they open up and bloom, looking just like a flower. For foodie hosts, you definitely won’t go wrong with an olive oil and vinegar set. This may not seem very exciting to some, but those who are into gourmet food treat olive oil and vinegar like fine wine, appreciating the various flavor profiles, production methods and more. Fine food stores, as well as many online sites, sell oil and vinegar sets, giving you plenty of options when it comes to each one. From holiday vinegars to lemon and basil olive oils, this is a gift that your hosts will be able to put to use right away at the Thanksgiving table. You can never really go wrong with a wine subscription service, as there is nothing better than bottles of wine arriving at your doorstep each month. With subscription boxes rapidly becoming more popular, there are now so many wine subscription services to choose from, catering to just about every budget and taste. Not a wine person yourself? A cheeseboard is another gift that can be used immediately, making it incredibly useful, especially for large parties. Rather than opting for a traditional wooden board, how about something a little different instead? Slate boards have a rustic touch to them, and can be written on with chalk, while a white marble cheeseboard is perfect for stylish hosts. To make your gift even better, make sure that the cheeseboard also comes with cheese knives and markers, although you won’t need the markers if you decide to go for a slate board. 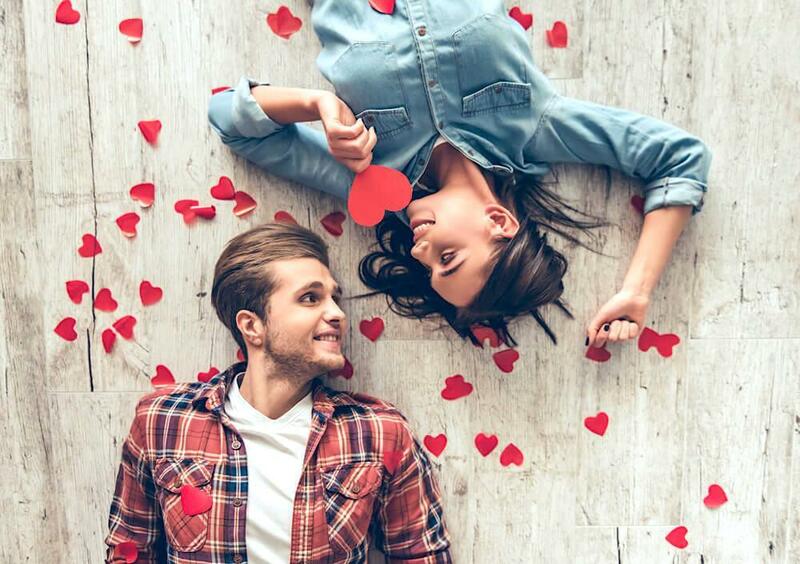 Want to put even more effort into this gift? Have some fun and pick a few different cheeses to accompany the cheeseboard, giving your hosts everything they need for a tasty cheese-tasting experience. You can present it all beautifully in a large hamper, perhaps even opting for some chutneys or pickles to really enhance the gift. Wine pearls make a fantastic gift for wine lovers. They are pearl-sized and shaped stainless steel balls that contain a gel coolant in the middle of them. All your hosts need to do is put the pearls into the freezer for a while, so that the gel coolant can freeze. Then, the pearls can be placed into a glass of white wine to cool the wine down, without having any effect on the flavor of the wine. Whisky stones work in a similar way, cooling down the drink without diluting it in the way that ice cubes would. Like the idea of this gift but think you need to give more? Well, that’s an easy one! If you opt for wine pearls, gift this to your host along with a bottle of wine. For those purchasing the whisky stones, a bottle of a single malt will pair perfectly with the stones. Food-related gifts are always a good option for a Thanksgiving host, and a gourmet salt set is something that your hosts can use on a daily basis. What is a gourmet salt? It is salt that has been produced to an extremely high quality. These are usually hand-harvested, allowing the salt to retain all of its original properties. 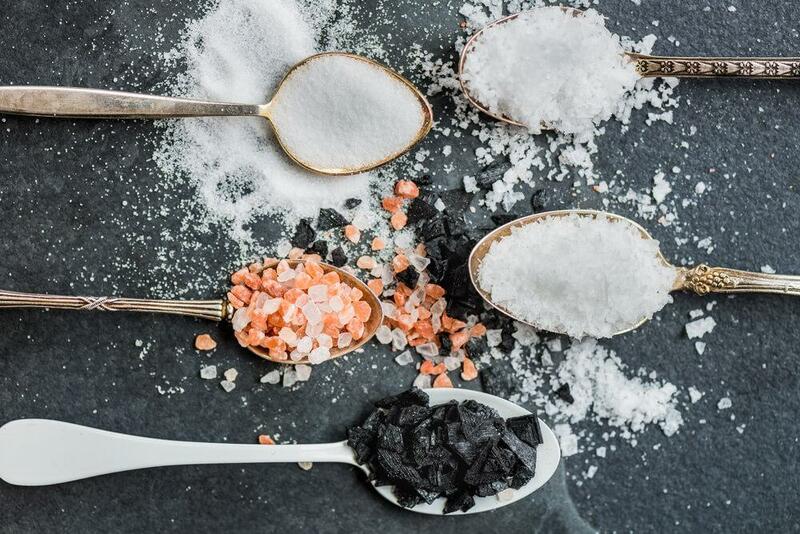 There are so many different gourmet salts out there and this is why a set is best, as it gives your hosts the opportunity to sample a wide variety of different salts. You can also look into some of the blended salts available. These can be created with everything from truffle oil to hot sauce, giving the salt such a distinct flavor profile. It can sometimes be difficult trying to decide what gift to purchase for your Thanksgiving host. Not only do you want the gift to be useful and meaningful, but it should be quite unique too. These 12 gifts tick all of those boxes, with each one being something that a Thanksgiving host will no doubt appreciate.